Komensky Elementary School is located in Berwyn, IL. We are a close-knit school community with dedicated parents, students and staff. According to the most recent Illinois State Report Card, 84% of our students come from low income households. As a school, we service students in preschool through 5th grade and house the district's Developmental Learning Program for students with severe and profound disabilities. Inclusion is part of the fabric of our school community and our students with special needs can be seen interacting with their grade-level peers throughout the day. Unfortunately, one area in which we struggle with inclusion is on the playground. Our school's playground is in desperate need of a makeover. Not only is the playground equipment antiquated, it is not appropriate for the diverse population we serve. Our students with physical disabilities cannot access the equipment. 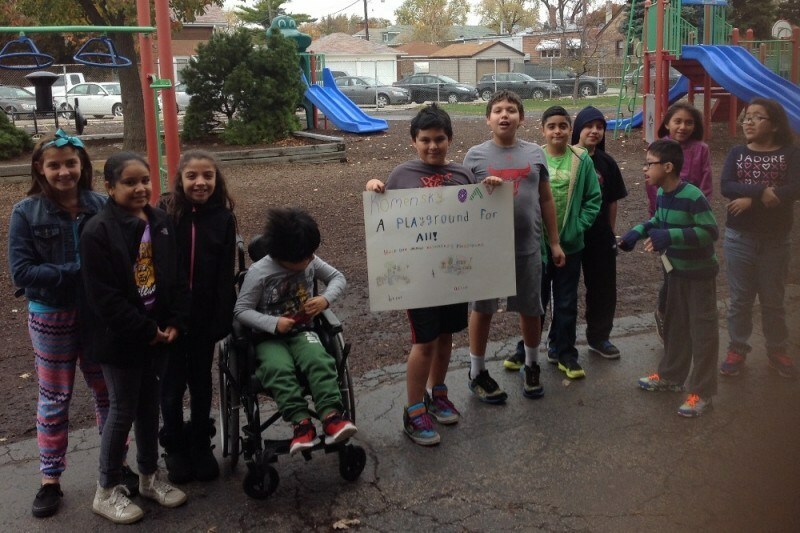 Our goal is to raise $50,000 for new playground equipment. According to most recent quotes, this money will allow us to update all of our equipment and will include handicap accessible features as well as equipment appropriate for preschoolers and 5th graders alike.